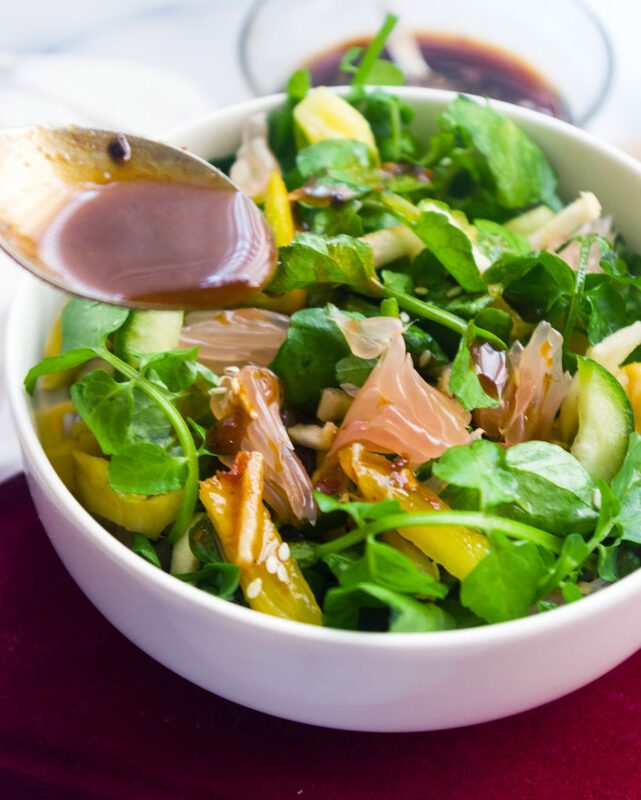 This rujak salad with watercress is a vegetarian version of Javanese rujak. 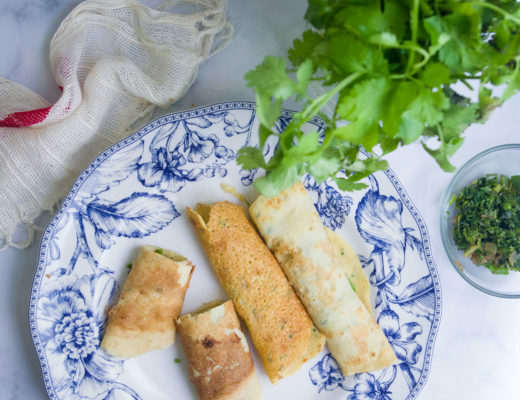 Combination of fresh fruits, watercress and a sweet-spicy sauce is unbelievably refreshing. Rujak or sometimes called Rojak in Malaysia and Singapore is a combination of fresh fruits an vegetables. The fruits in Indonesian or Javanese style rujak vary. 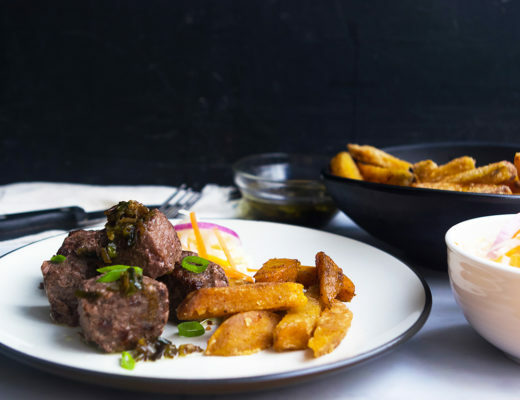 But it usually includes green mango, jicama, pineapple, papaya, rose apple and raw sweet potatoes. Rujak is often compared to salad, as it features an array of fresh fruits and a sweet-spicy sauce as its main ingredients. The fruits and vegetables in rujak vary by region, but mostly it consists of a variety of tropical fruits and sweet and spicy sauce made from palm sugar, red chile pepper, tamarind paste and shrimp paste. This time I come up with a vegetarian version that doesn’t include a shrimp paste or prawn petis in the sauce. 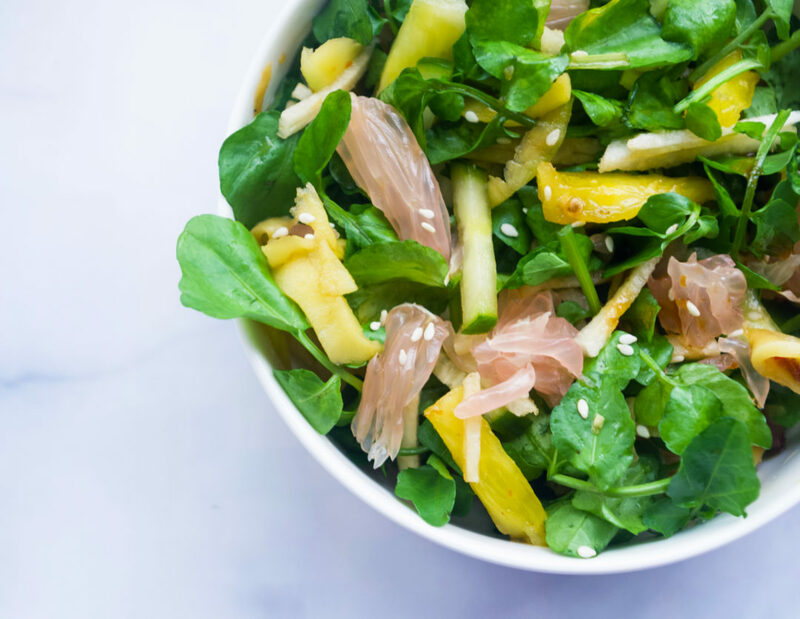 For the salad ingredients, I use julienned jicama, pineapple, green mango, cucumber, pomelo segments, watercress, tossed with lively dressing and topped with toasted sesame seeds. Rujak dressing: In a bowl combine together tamarind paste and salt, add warm water and stir until dissolved. Place red chilli and palm sugar in a mortar and pestle, pound until smooth. Strain the tamarind juice to the sugar mixture and mix until well combined. 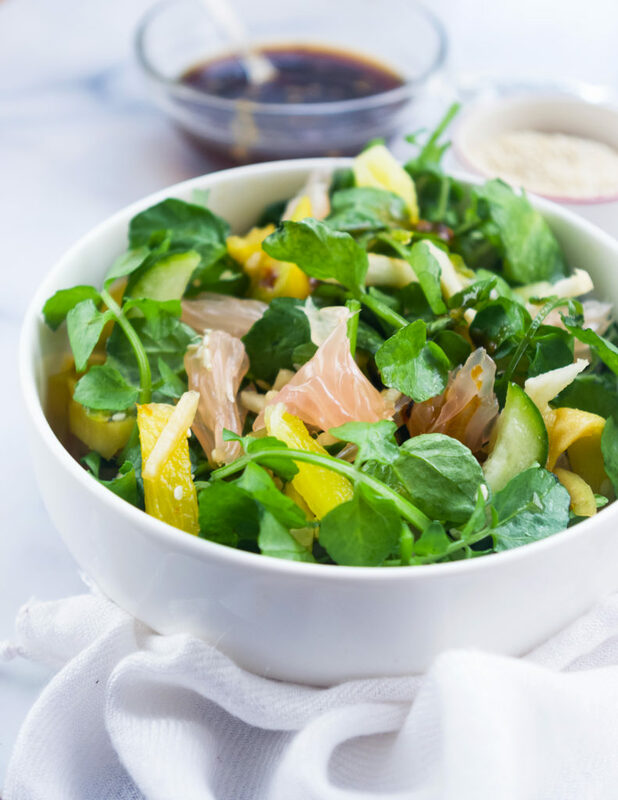 Rujak Salad with Watercress: Place all the fruits and watercress in a mixing bowl, drizzle with half of the dressing and toss to combine. 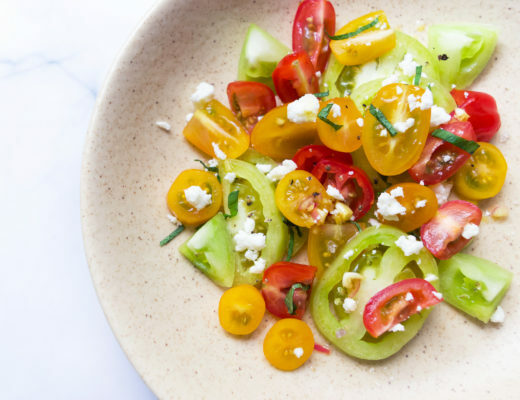 Place the salad on a serving platter, drizzle with the remaining of salad dressing and sprinkle with toasted sesame seeds. Serve salad Immediately.